Jim Cane studies nesting, foraging and population dynamics of native non-social bees and their roles as pollinators, mostly in the Americas, through the USDA Bee Lab in Logan, Utah. His agricultural studies have focused on bees that pollinate blueberries, raspberries, alfalfa, squashes and almonds, in addition to the pollination needs of prevalent Great Basin wildflowers for farming and wildland restoration. When not working, he enjoys dogs, reading, cooking, contra dancing, hiking, birding and botanizing. with flat bottoms and puffy tops. A dense cloud that grows upward, looks like a cauliflower, anvil, or tower, and usually has lightning, thunder, and rain. Who has not indulged in the idle pastime of watching puffy white clouds pass overhead, naming their shapes as they form? Of course, such whimsical names do not serve comparative description and understanding. For this, a lexicon of clouds is needed. Our formal cloud classification system traces back to 1803, when an Englishman, Luke Howard, published “An essay on the modifications of clouds”. Luke Howard owned a profitable pharmaceutical company, which funded his gentlemanly meteorological pursuits. Mr. Howard wisely chose a Latin cloud vocabulary to name and illustrate three fundamental cloud types. The highest flying clouds he named cirrus, meaning curl or tuft, as of hair. These wispy clouds often resemble fibers; one form is the aptly named horse-tail cirrus. Composed of ice crystals, cirrus clouds form at around 30,000 feet, about the cruising altitude of passenger jets. Wispy cirrus clouds often portend a stormy Pacific low-pressure system en route to Utah. Howard dubbed a type of lower elevation cloud cumulus, meaning mass or heap. These grow from mere puffs to big flat-bottomed clouds with white cauliflower tops. For sheer meteorological beauty, nothing beats legions of fair weather cumulus scudding across a bluebird sky atop a montane backdrop. The lowest cloud form is stratus. Forming below 8000 feet, they appear as an extensive deck of unbroken gray. 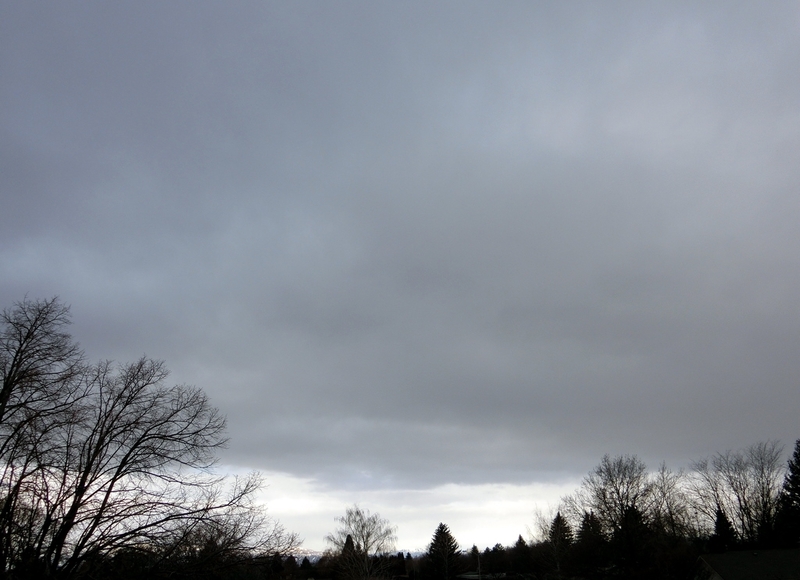 Stratus clouds often bring Utah’s winter snowstorms and spring rains. 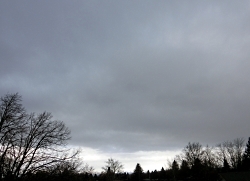 Nimbostratus are responsible for Seattle and Portland’s endless winter drizzle. 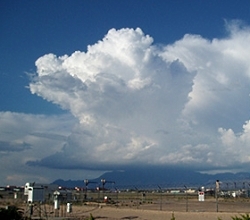 In contrast, our Utah summer rains fall from towering cumulonimbus thunder heads. These ominous clouds are powered by hot summer updrafts and the steamy humidity that flows northward with the North American monsoon. Luke Howard’s cloud-naming convention includes 10 principal types in all which easily lend themselves to naming combinations. You can now envision the height and appearance of cirrocumulus clouds, for instance. Cirrus, cumulus, stratus, nimbus, the cloud lexicon of amateur meteorologist Luke Howard has endured for over 200 years. Pictures of these cloud types with a link to the pages of Howard’s original published treatise can be found at our Wild About Utah website. Luke Howard. 1803. “Essay on the modifications of clouds by “3rd ed. Published 1865 by John Churchill & Sons in London . Riehl, Herbert. 1978. “Introduction to the Atmosphere.” McGraw-Hill, NY. The spacing of the lines is a measure of the pressure gradient: the closer the lines, the higher the pressure gradient. Wind is inevitable on a spinning planet with an atmosphere and a sun. At our latitude, westerlies prevail, but east winds do occur now and then. Locally, canyons daily exhale denser, cooler mountain air that drains into valleys. In Logan, trees blown by these canyon winds tilt westward. Occasionally, though, the whole Wasatch front is whipped by howling gales from the east, leaving behind shredded shingles, snapped tree limbs and rolled tractor-trailers. These forceful east wind events have a regional weather origin that is intensified by local topography. It begins with a strong high-pressure cell parked over southwestern Wyoming. It’s descending dry air circulates clockwise. Somewhere to the south or southwest, a low-pressure cell is needed. The strong air pressure gradient between high and low generates a wind that races westward from Wyoming. The surging wind pours over the entire Wasatch front like water over a flat boulder in rapids. These winds then plunge down slope, blowing quickest where the descent is long, steep, and unobstructed. The down rushing air slams onto the flat benches and valley floors. In November 2011, such winds ripped Centerville with 100 MPH gusts. 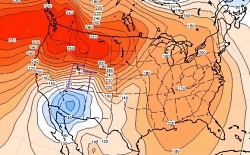 Where these so-called mountain wave events blow regularly they often have names. The mistral and foehn winds howl down from the Alps, chinooks race down the Rocky Mountain Front Range, and the Santa Anas blast Southern California. The steep altitudinal descent of these parched winds compressively heats the air. A spark or flame soon transforms to a raging wildfire when fanned by a drying foehn or Santa Ana wind. Europe’s foehns are also known to spark short tempers and stress. Perhaps the sporadic easterly gales that lash the Wasatch Front and Cache Valley deserve an evocative name too. For now, you at least know the answer to what’s blowin’ in the east wind. Willow Creek north of Wells, NV. The Great Basin is aptly named. 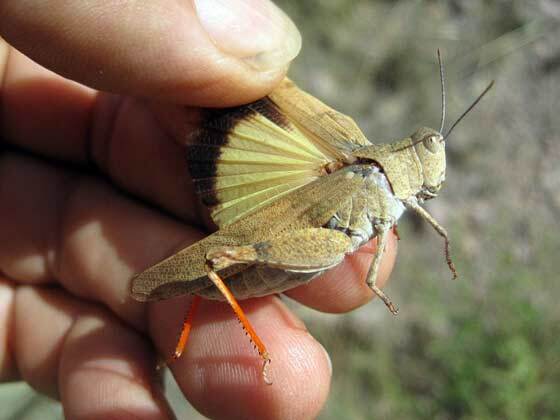 Twice the size of Kansas, it stretches from the watersheds of the Columbia and Snake rivers south to that of the Colorado, and from the crests of the Sierra Nevada and southern Cascades eastward to the Wasatch front. The Western explorer John Fremont coined its name in 1845. The rivers and streams of the region that Fremont had seen all ended in sinks, marshes or lakes. None flowed to the Pacific Ocean. He confirmed this on meeting Joseph Walker at Mountain Meadows in Utah. 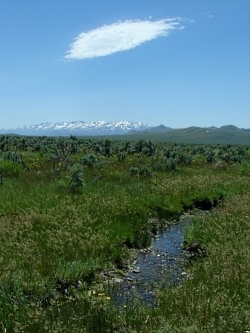 Walker had traveled more of the basin’s western margins, dispelling rumors of a river traversing the Sierra Nevada. Precipitation that falls in the Great Basin stays in the Great Basin; water leaves only as vapor. This is the hydrographic Great Basin. How else to view the vast region between the Rockies and the Sierra Nevada? 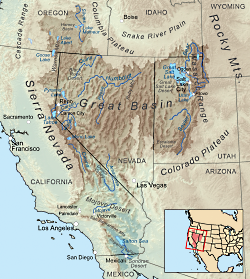 Geologists speak of the “Basin and Range Province”, so named for its valleys and the towering ranks of north-south mountain ranges that march across the landscapes of Nevada and edges of adjacent states. Unlike the upthrust Rockies and Sierra Nevada, Earth’s crust in the Great Basin appears to be spreading, to be pulling apart. 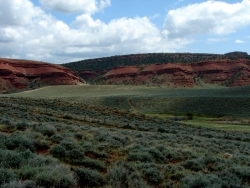 The tilted escarpments of the Wasatch front are the easternmost evidence of this crustal deformation that has built the Basin and Range Province. 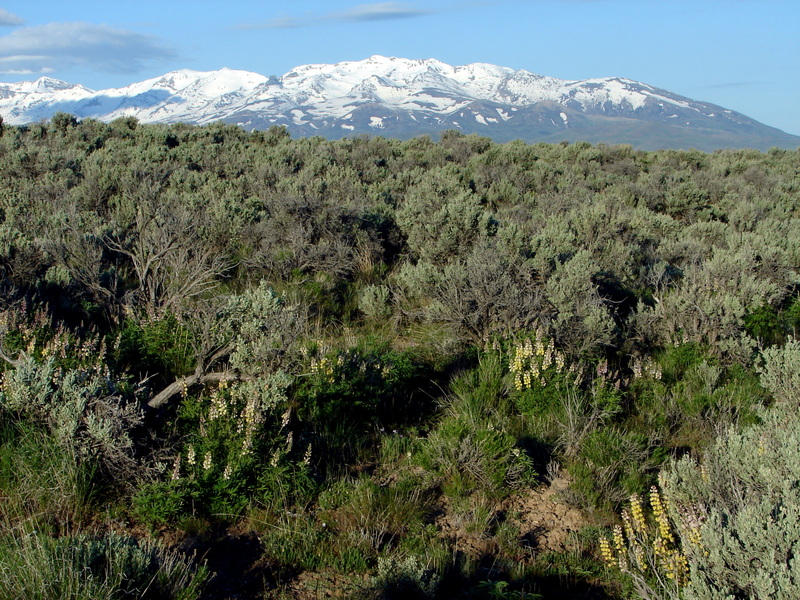 Botanists delimit the Great Basin by the hardy flora that clothes this rugged landscape. Great Basin plants tolerate freezing winters and parched summers, and in the valleys, soils of varying salinity. The so-called Sagebrush Ocean fills many of the basins, as do other shrubs, such as shadscale and greasewood. Upslope, these give way to juniper woodlands, often mixed with piñon pine. 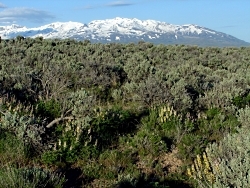 This floristic Great Basin reaches eastward to central Utah and the Wasatch front, beyond which trees and other plants of the Rockies make their appearance. The boundaries of all three concepts for the Great Basin — hydrographic, geologic and floristic — largely coincide. 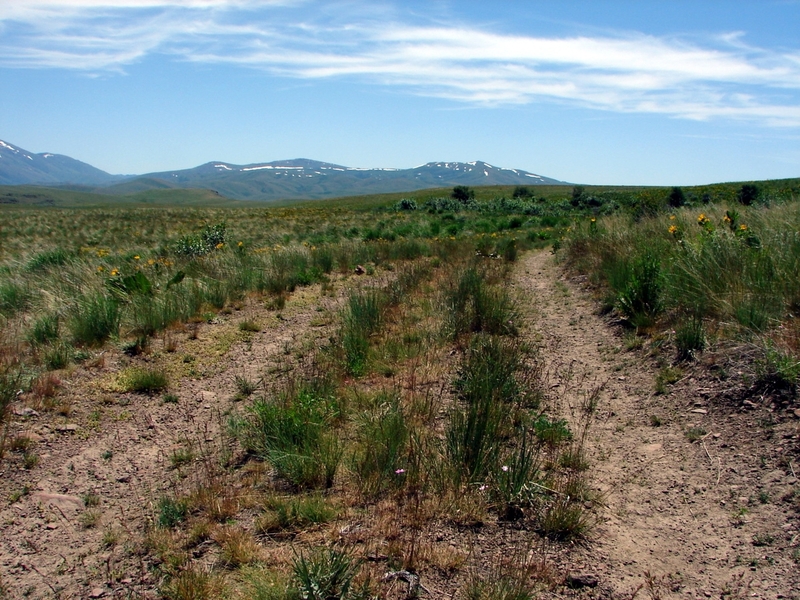 Each recognizes the distinctive attributes of the Great Basin that set it apart from neighboring regions. 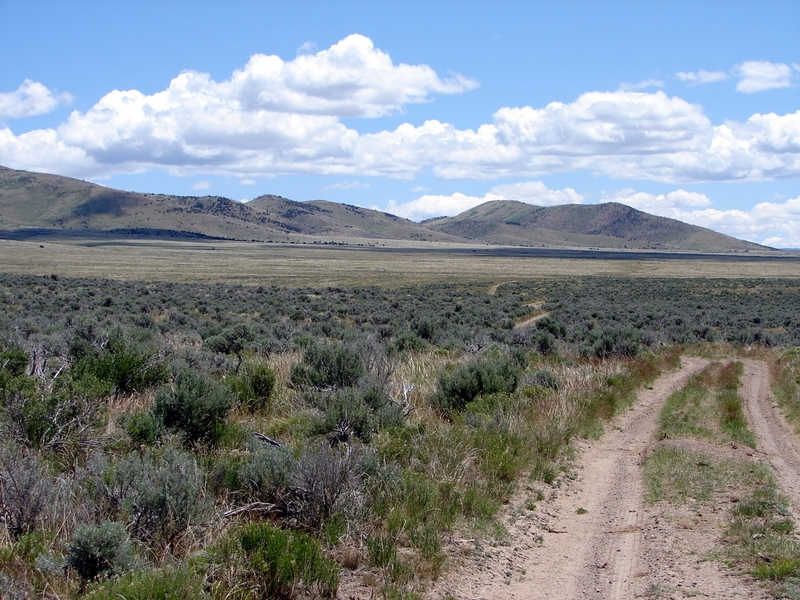 The Great Basin is readily recognizable to the trained eye, whether looking at satellite images, river courses, or the native plant communities encountered on a simple walk.